Here are several maps of Niedermorschwihr. You will find the road map of Niedermorschwihr with a routing module. 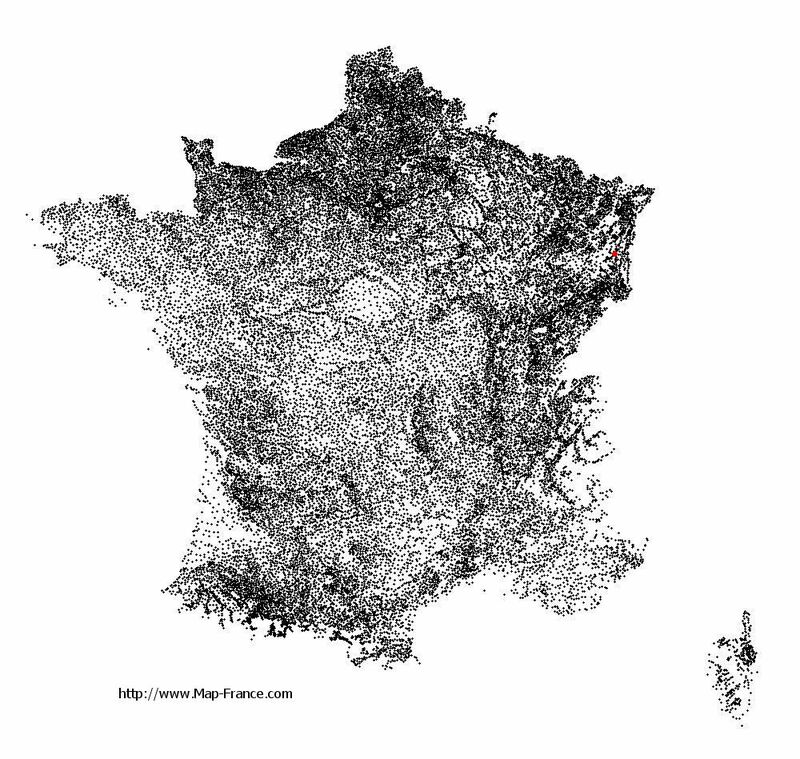 This dynamic road map of France (in sexagesimal coordinates WGS84) is centered on the town of Niedermorschwihr. The location of Niedermorschwihr in France is shown below on several maps of France. The mapping system of these base maps of Niedermorschwihr is the french mapping system: Lamber93. 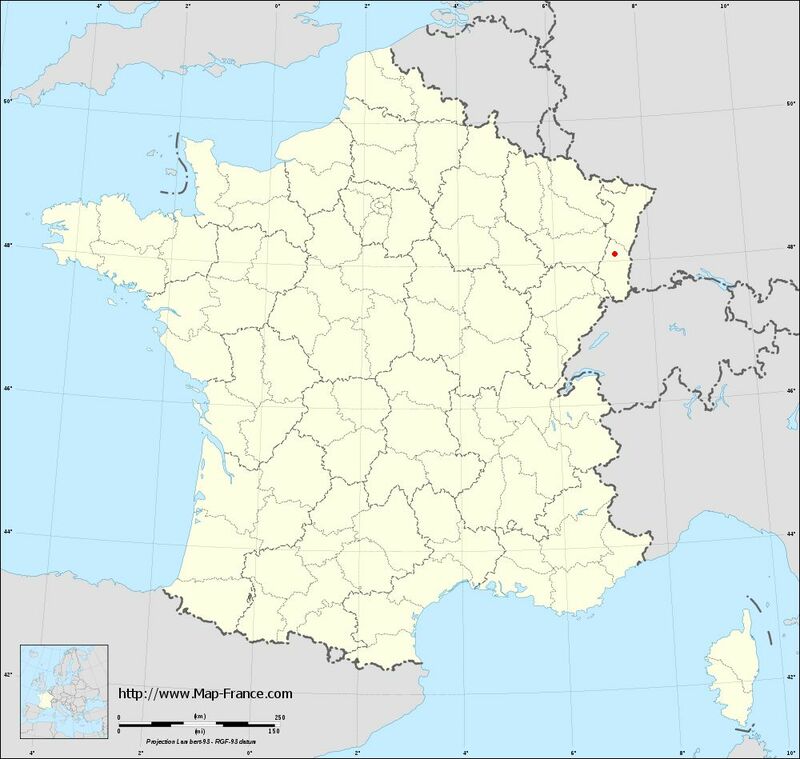 These base maps of Niedermorschwihr are reusable and modifiable by making a link to this page of the Map-France.com website or by using the given code. You will find the hotels near Niedermorschwihr on this map. Book your hotel near Niedermorschwihr today, Wednesday 15 May for the best price, reservation and cancellation free of charge thanks to our partner Booking.com, leader in on-line hotels reservation. Get directions to Niedermorschwihr with our routing module. You will find the hotels near Niedermorschwihr with the search box at right. Book your hotel near Niedermorschwihr today, Wednesday 15 May for the best price, reservation and cancellation free of charge thanks to our partner Booking.com, leader in on-line hotels reservation. - the location of Niedermorschwihr in France is shown below on several maps of France. The mapping system of these base maps of Niedermorschwihr is the french mapping system: Lamber93. 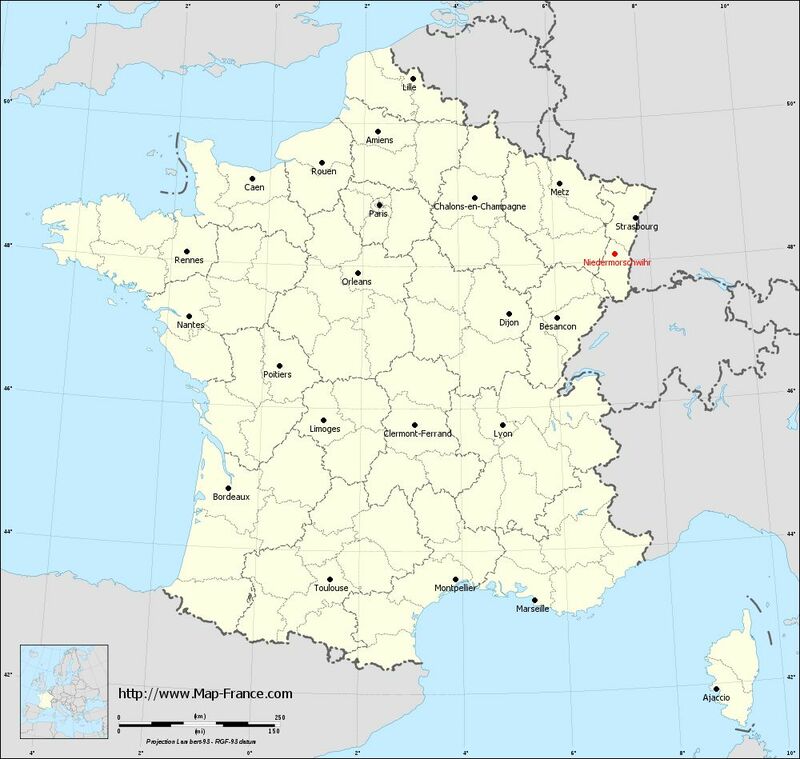 These base maps of Niedermorschwihr are reusable and modifiable by making a link to this page of the Map-France.com website or by using the given code. 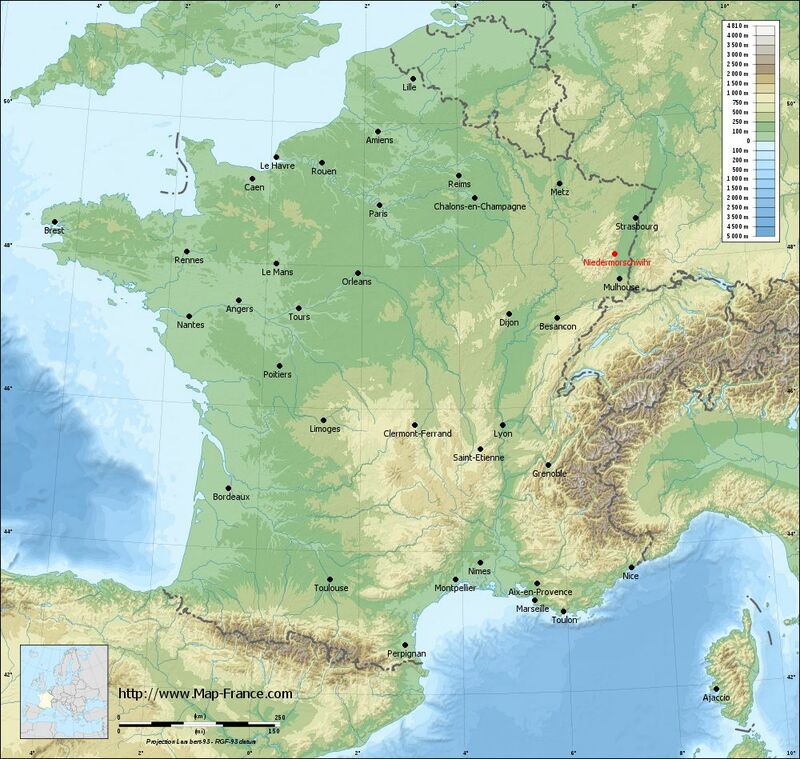 See the map of Niedermorschwihr in full screen (1000 x 949) At left, here is the location of Niedermorschwihr on the relief France map in Lambert 93 coordinates. 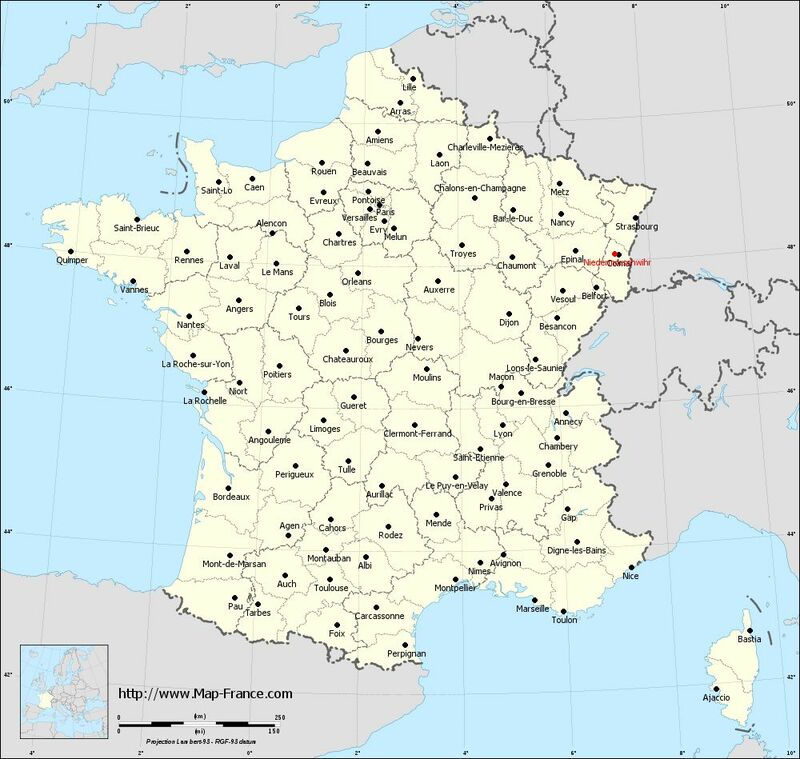 View the map of Niedermorschwihr in full screen (1000 x 949) You will find the location of Niedermorschwihr on the map of France of regions in Lambert 93 coordinates. The town of Niedermorschwihr is located in the department of Haut-Rhin of the french region Alsace. Voir la carte of Niedermorschwihr en grand format (1000 x 949) Here is the localization of Niedermorschwihr on the France map of departments in Lambert 93 coordinates. The city of Niedermorschwihr is shown on the map by a red point. 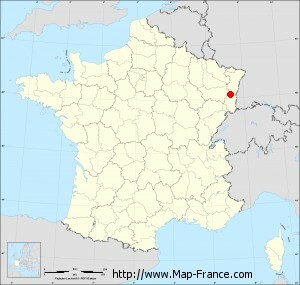 The town of Niedermorschwihr is located in the department of Haut-Rhin of the french region Alsace. The latitude of Niedermorschwihr is 48.099 degrees North. The longitude of Niedermorschwihr is 7.274 degrees East. The red point show the location of the town hall of the Niedermorschwihr municipality.